Today’s older adults face more caregiving challenges than ever before. Dealing with the stress of what is often frequently nonstop care isn’t easy, especially during the holidays. To stay healthy, experts say taking care of yourself needs to be a priority. Today’s older adults face more caregiving challenges than ever before. The number of adult children assisting aging parents has more than tripled in the past 15 years (from LifeBridge Solutions), and, at the same time, they are helping their adult children—some who are living at home longer and needing more financial help. Many older adults are helping children who are military veterans, especially those with serious injuries; others have disabled children who need lifelong care. Some grandparents are finding themselves responsible for their grandchildren (see “Grandfamilies Find New Challenges, Satisfaction,” Senior Spirit, Jan. 2014). And, at the older stages of life, many of us are finding that spouses and friends need additional help. Family caregivers, it turns out, are the “backbone of our country's long-term, home- and community-based care system”—with nearly 66 million family caregivers in the United States caring for parents, relatives, spouses and children. The estimated economic value of their unpaid contributions—about $450 billion in 2009—is more than twice what is spent nationwide on nursing homes and paid home care combined, according to the Rosalynn Carter Institute for Caregiving. Yet these informal caregivers get little to no help from the government. It’s no surprise that many older caregivers are feeling overwhelmed, and the holidays can make it simultaneously more difficult and easier. There’s more joy from being with loved ones but also more stress to create the perfect celebration. The holidays are also a good time to take stock of your own needs, to make a resolution for the new year to find time to take care of yourself. How to Find Support Groups Support groups offer a safe haven to share feelings, make new friends, learn about resources and coping mechanisms, and get advice for handling problems that others have experienced. Different types offer slightly different kinds of support (from “Finding the Right Support Group,” Caregiver Action Network). Condition-specific groups focus on a particular disease, disability or condition, such as Parkinson’s or Alzheimer’s, and can provide the latest information on the condition and available resources. Family-caregiver groups are especially appropriate if you are feeling isolated and need to have your feelings validated. Relationship-oriented groups focus on those who are caring for a spouse, a parent or a child regardless of their condition. Online forums offer the advantage of connecting with others from home and are especially good for those in rural areas or who are caring for people with rare conditions. Stress from caregiving can affect your own physical health. Stressed-out caregivers aged 66 to 96 have a 63 percent higher risk of dying than that of people the same age who are not caregivers (Family Caregiving Alliance). Baby boomers who are taking care both of parents and children, while working, face an increased risk for depression, chronic illness and a possible decline in quality of life. Accept help. Many caregivers are reluctant to ask for help, not wishing to burden others. But often family and friends are happy to be of service, especially if they can be presented with a list of specific requests, such as picking up food from the store or giving you a one-hour break to go for a walk. Help is also available from community resources. Websites, including Family Caregiver Alliance or the Eldercare Locator, can help you find local assistance. Take a break. Getting away from the situation, for a half a day or whole day, is one of the best things you can do for yourself as well as the person you're caring for. Most communities have some type of respite care available, such as adult day care centers, short-term skilled nursing homes and assisted living facilities, or in-home respite. 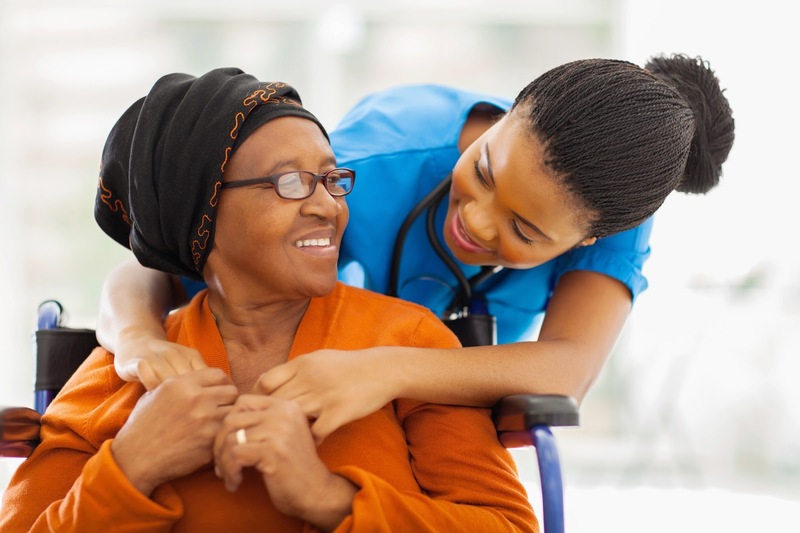 Health care aides can come to your home to provide companionship, nursing services or both. Join a support group. Talking to others who are in the same or similar situation can go a long way toward easing the isolation that most caregivers feel. Members of a support group can offer support, suggestions on ways to make your life easier and connections to other possibilities for assistance. Organizations specific to your loved one’s situation (Alzheimer’s or cancer, for example) also offer local support groups (see sidebar, “How to Find Support Groups”). Maintain social contacts. Find time to see friends, if even for a short period, like a walk or lunch together. Having a strong social support system greatly lessens the stress of caregiving. Be easy on yourself. As hard as you might try to keep everything running smoothly, it’s going to fall apart at some point. Those are the times to avoid feeling guilty or that you’re not good enough. You have to accept that some things will be out of your control. No one is a "perfect" caregiver. You're doing the best you can at any given time. If it eases your burden, let the house get a little dirty or buy prepackaged meals. Stay physically healthy. Whether it’s going to a yoga class or walking every day, getting exercise is one of the biggest stress relievers. Exercise promotes better sleep, reduces tension and depression, and increases energy and alertness. Walking is one of the best and easiest exercises and can be done in short bursts, like a 15-minute walk around your neighborhood. Dial down the holidays: Everyone wants a perfect holiday, but if it adds to your burden, it’s not worth the effort to make sure the meal is perfect or that you’ve found the perfect gifts. Order a prepared meal, if it makes your life easier. Focus on what is most meaningful and let everything else fall by the wayside. If it’s important to make the best holiday presentation, find someone to help, even if you have to pay. “Caregiving as a Risk for Mortality: The Caregiver Health Effects Study.” JAMA, December 15, 1999, quoted in “Taking Care of YOU: Self-Care for Family Caregivers,” Family Caregiving Alliance ). Taking Care of the Caregiver was featured in the December 2014 Senior Spirit Newsletter.